A semi-autobiographical portrait of the original Yentl and “an important contribution to the vastly neglected genre of feminist Yiddish literature” (Booklist). 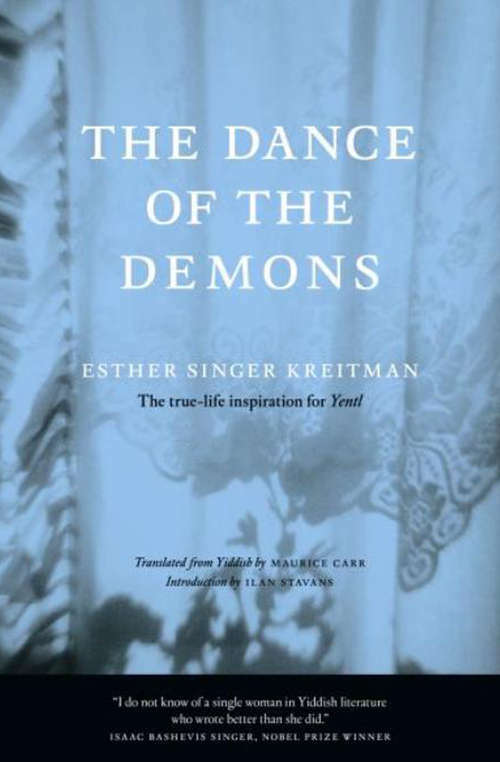 In this autobiographical novel—originally published in Yiddish as Der Sheydim Tanz in 1936—Esther Kreitman lovingly depicts a world replete with rabbis, yeshiva students, beggars, farmers, gangsters, seamstresses, and socialists as seen through the eyes of the girl who served as Isaac Bashevis Singer’s inspiration for the story “Yentl, the Yeshiva Boy.” Barred from the studies at which her idealistic rabbi father and precocious brother excel, Deborah revels in the books she hides behind the kitchen stove, her brief forays outside the household, and her clandestine attraction to a young Warsaw rebel. But her family confines and blunts her dreams, as they navigate the constraints of Jewish life in a world that tolerates, but does not approve, their presence. Forced into an arranged marriage, Deborah runs away on the eve of World War into a world that would offer more than she ever dreamed . . . This edition includes memorial pieces by Kreitman’s son and granddaughter.